Chessdom: Mr.Le Quang Liem, you and your compatriot Nguyen Ngoc Truong Son have participated in the World Cup in Khanty Mansiysk. How do you comment on your performance? Le Quang Liem: My performance is better than the two previous World Cups that I participated: in 2007 and 2009 I was eliminated from the very first round. In general this can be considered a slight achievement. As I have higher rating now, I didn’t have to face very strong opponents too early like the last two times. I think I handled round 1 and 2 quite well, outplaying Megaranto and Grachev respectively in a convincing way. However, in round 3 my opponent Bruzon showed his excellent preparation and precise play. In addition I failed to play my best and made several mistakes, so could not save the match at the end. I gained 3.2 Elo points from these World Cup games, but it is hardly satisfactory, because I hoped to go a bit further. Maybe I am not that lucky in the knockout system. Anyway it shows that I have to work harder to gain more experience from this format. As for my friend and compatriot Truong Son’s performance, in my opinion he also did well. In round 1 he technically outplayed his higher-rated opponent Li Chao, a very talented player from China. In round 2 he fought hard but lost to Svidler, who later became the World Cup winner. Chessdom: You have won the Aeroflot Open, the world’s strongest open tournament, twice (2010 and 2011). What is the difference between playing in the knockout and Swiss system? 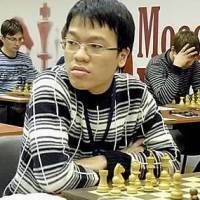 Le Quang Liem: In Swiss system you often know your opponent only one day prior to the game, so there is not so much time to prepare anything special, you only have to concentrate on your own opening problems in a basic plan. In knockout system home preparation makes a lot of senses. You usually try to find weaknesses of each opponent, considering that surprises paying greater effects. Psychologically it is also more difficult to play in the knockout system: you know that a single mistake may take you home, while in Swiss system you have more chances to correct your faults. Chessdom: You are set to play in the SPICE Cup, a double round robin tournament, next month. What are the expectations? Le Quang Liem: The A Group of SPICE Cup is a tournament with category 17. Amongst the participants are GMs Dominguez, Onischuk, Meier, Shulman, Robson and me. I think it is a nice field, a mix of experienced and the young talented players. It is hard to expect anything when I come to the tournament for the first time. Obviously the tournament won’t be easy. I will just focus on my preparation and try to show my best in every game. I hope I will play interesting chess and get good results. Chessdom: What do you think of Bilbao scoring system (3 points for win, 1 for draw)? Le Quang Liem: I am not a fan of this system. There are fighting draws, which are not boring at all. Some even have significant contributions to theory or historic meanings. So, I don’t see any reason why we should punish those cases. Chessdom: In the recent years we have witnessed a great chess expansion in Vietnam. How is chess developing in your country? 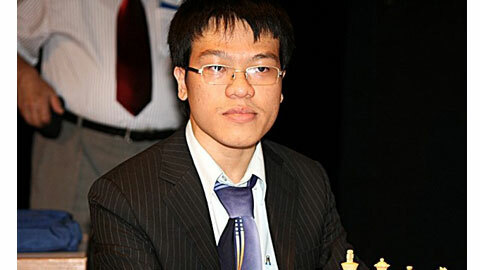 Le Quang Liem: I think chess is developing quite fast in our country. Thanks to some recent achievements of our Vietnamese leading players, people get to know more about chess. More and more children start to study chess at young ages. But obviously it is not comparable to some other sports such as football or tennis. Still, I see this as a very positive sign that chess has good potentials in our country. Chessdom: From an earlier interview we learned that you trained with GM Evgeny Bareev. Do you still work with him and who else is helping you in preparation? Le Quang Liem: I cooperated with GM Bareev in 6 weeks in 2009 and with GM Khalifman in 2 weeks at the beginning of 2010. After that I mostly work myself, with the assistance of my computer and books. Chessdom: What are your next tournaments after the SPICE Cup? Le Quang Liem: In November I am going to join the Vietnamese team for SEA Games in Indonesia. In December I will play the SportAccord Mind Games in China.